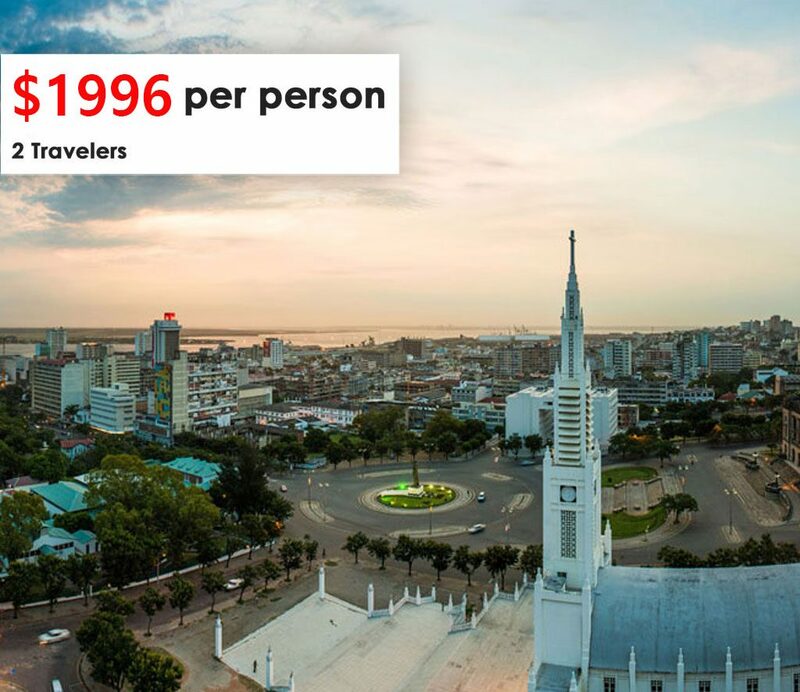 This self-drive tour will afford you the luxury to explore the diversity that this beautiful country has to offer, including an overnight in a private game lodge with both morning and evening game safaris. Cape Agulhas. Africa’s largest penguin colony & whales close up in season. You spend the night on a luxury ostrich farm in the Great Karoo, 2 nights on the Knysna Lagoon. At the Tsitsikamma NP you walk amongst huge endemic Yellow woods and cross the Storms River mouth via a suspension bridge. Experience the magnificent and achingly beautiful landscapes all within 200 kms of Cape Town. The stark and wild beauty of the west coast where every spring nature works its annual miracle & carpets the veld as far as the eye can see with flowers. Overnight in the authentic Cape village of Paternoster. Travel through the worlds most beautiful vineyards surrounded by mountains. Spend 2 nights in the historic French town of Franschoek then Hermanus to view the the worlds largest mammal the Whale. This tour offer’s you an enormous diversity & 3 Game reserves in just 8 days! It includes whale watching in Hermanus (June to December), Penguins, Cape Agulhas, Mossel Bay & the Diaz museum. Knysna with it’s ancient forests and famous lagoon cruise. Plettenberg Bay (African St Tropes! 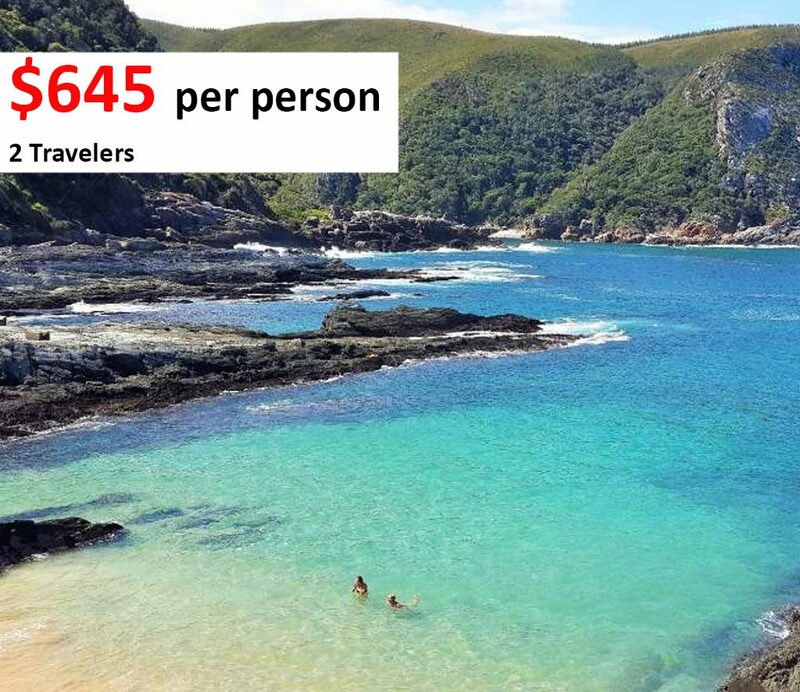 ), Tsitsikamma NP, Oudtshoorn, A night in a Game Reserve in the Karoo which is the worlds largest succulent desert, hot springs, Cango caves, Ostrich Safari and the iconic Addo Park, famous for elephant and lion. In 8 days this tour will take you to the World’s Favorite City (Trip Advisor). Cape Town and it’s surrounds have so much to offer, truly a must on anybody’s list, my home town! 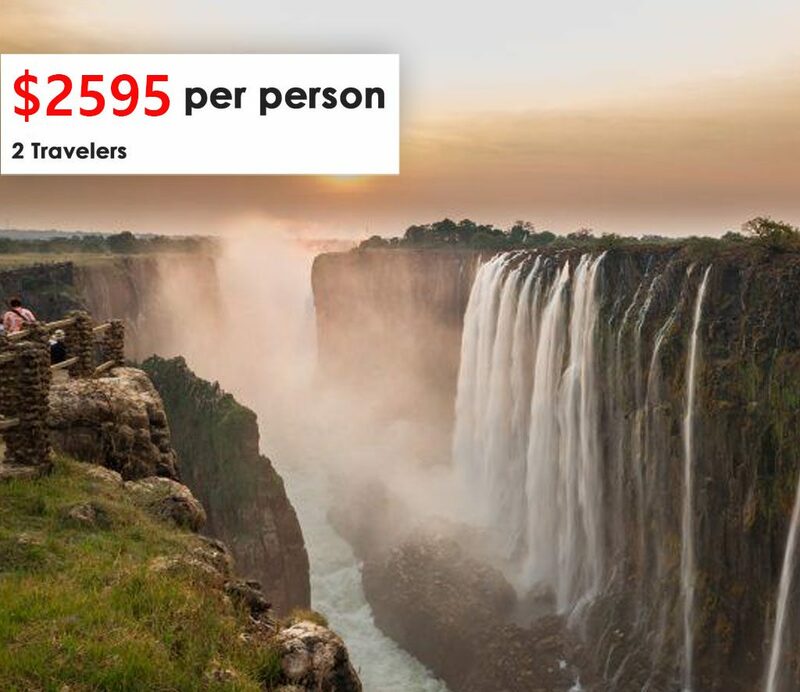 You then fly to Johannesburg to start your 4 day Safari of the iconic Kruger National park, renowned for it’s incredible diversity and home to the big 5. 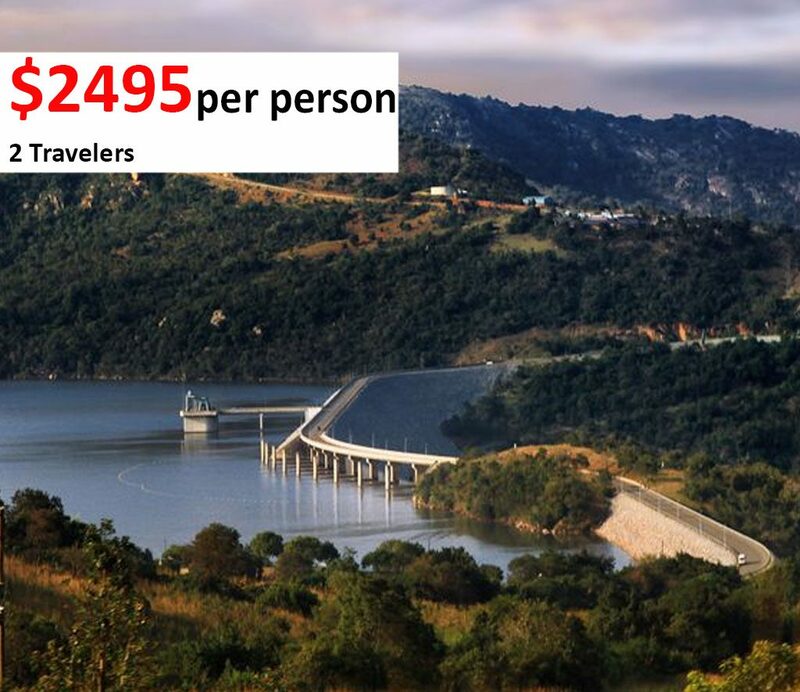 The Blyde River Canyon, the 3rd largest and most vegetated in the world is a sure highlight. If you have more time let me show you a few of my more comprehensive tours. 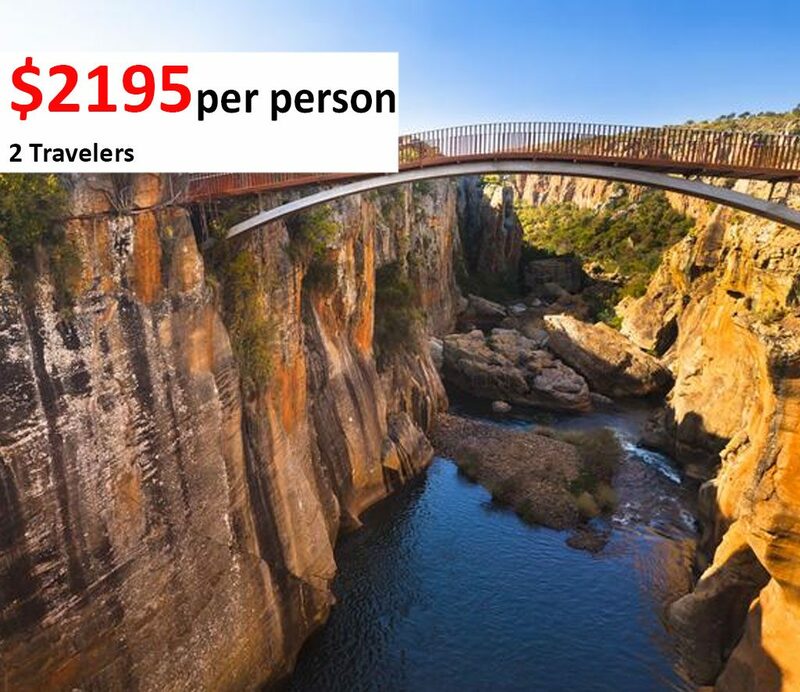 In just 10 days, this private tour will show you the main attractions of South Africa from Soweto to Swaziland, Cape Town and the Blyde Canyon. The iconic Kruger National park is where you have the opportunity to see the big five. The ”rainbow nation” is adorned with magnificent landscapes, towering mountains, and more than 3000km of coast, deserts, geological wonders, flora and fauna, and its rich cultural and historical past. We can also recommend tour extensions to other incredible places. Includes West Coast Fossil Park, Langebaan lagoon, Elands and Lamberts Bay (surfing and cray fishing Mecca), Cedarberg Mountains with incredible rock formations and bushman paintings. Namaqualand, Augrabies falls National Park, Kalahari Gemsbok Transfronteir Park with abundant animal life and especially the black-manned Kalahari Lion, Richtersveld National Park, a world heritage site. 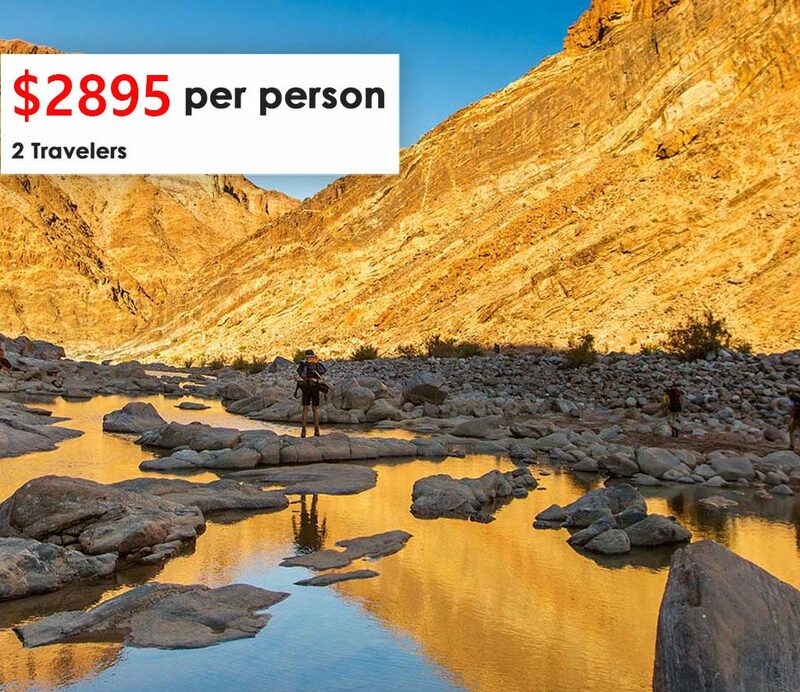 Orange River and the Fish River Canyon (2nd biggest in the world) with hot mineral springs. In just 10 days this private and small group tour will show you the main attractions of South Africa. From Soweto to Swaziland, Mozambique (Maputo ) Cape Town and the Blyde Canyon. The iconic Kruger National park is where you have the opportunity to see the big five. Our nation is adorned with magnificent landscapes, towering mountains, 3000km of coast, desert, flora and fauna, a rich cultural and historical past. 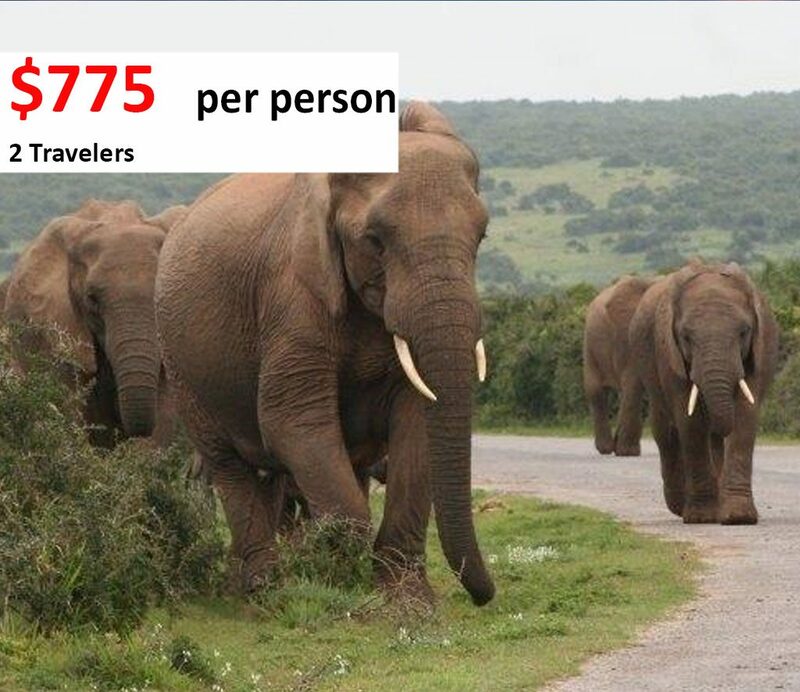 A full day game drive is included. 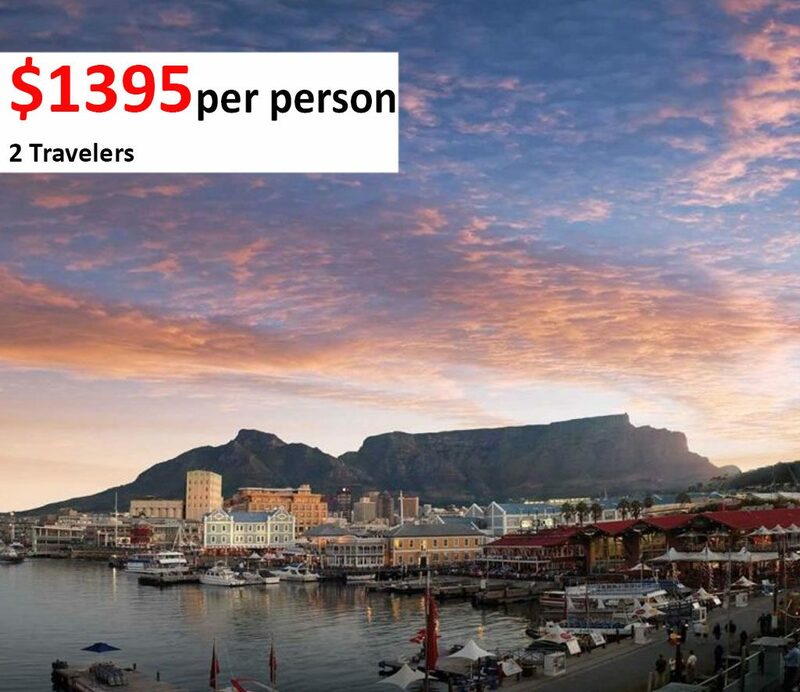 Cape town tour is private, activities included.